It’s impossible to fully articulate Samantha’s unrelenting passion and dedication to her clients in “Three Little Words.” With an extensive background in event planning and marketing, Sam brings a particular attention to detail and creative eye to her work that is essential for creating an unforgettable and personalized day for each of her couples. More importantly, recognizing that this is the most important day in her clients’ lives, Sam approaches each wedding with the same energy and “joie de vivre” she brought in planning her own special day. In the end, Sam just wants to make the wedding planning process a fun and stress-free experience that culminates in a day that you will cherish for a lifetime. When she is not making her couples’ dreams come true, Samantha enjoys traveling the world with her husband, Ryan, and trying to keep up with her loving yet stubborn Great Dane, Lola! With us from the beginning, Danie is an essential part of our Three Little Words team. From wrangling groomsmen and fixing dresses to repairing collapsed wedding cakes and making sure everything looks perfect, Danie does it all! Finally, as an accomplished actress, Danie brings her background in arts and entertainment to all of our events to make them unique, dramatic, and memorable experiences. When Danie isn’t busy rocking our weddings and making sure everything runs smoothly, she enjoys spending time with her husband, Johnathan, and teaching Yoga. One word comes to mind to describe our lovable associate Laura: Persnickety. As Laura is never satisfied with anything less than perfection, she will gladly sweat all the details of your wedding for you. Further, as an avid quilter and lover of crafts, Laura’s creative touches and perspective make for a truly unique and beautiful experience for all of our couples. That being said, don’t let Laura’s persnickety approach to her work fool you. 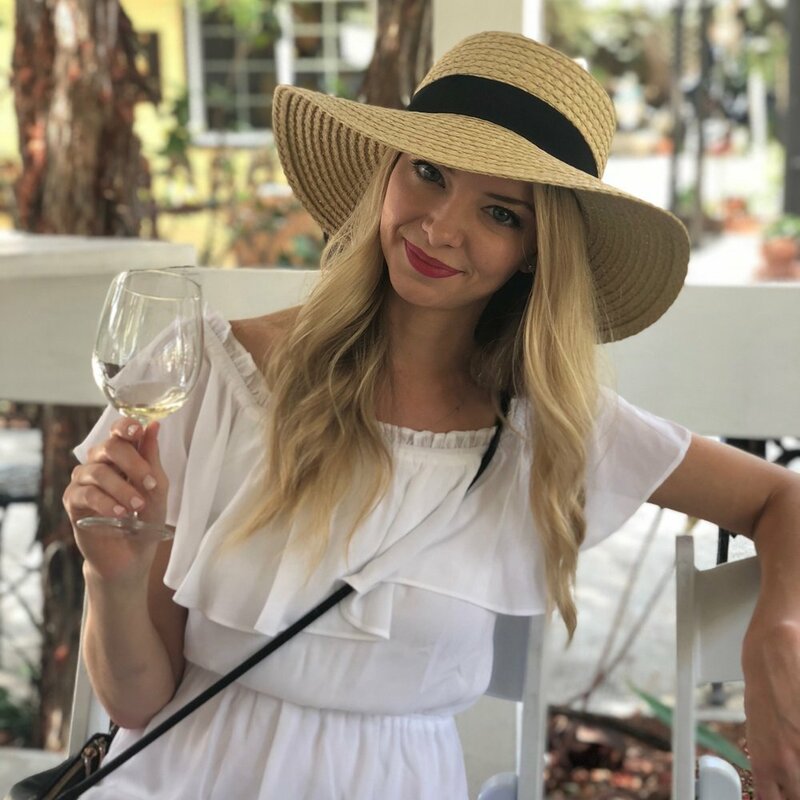 As a passionate New Orleanian, Laura brings the joyous and celebratory spirit of our great city to every wedding, and her number one goal is to make sure our couples have a relaxed and fun wedding day. Outside of her work at Three Little Words, Laura enjoys spending time with her lovable cats, sewing, and sampling fine Bourbons.